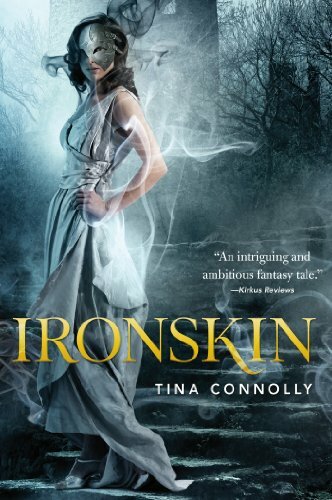 TINA CONNOLLY's enchanting debut—IRONSKIN. Jane Eliot wears an iron mask. It's the only way to contain the fey curse that scars her cheek. The Great War is five years gone, but its scattered victims remain—the ironskin.